Give girls the gift of education this Christmas! Lyra supports girls to complete their secondary education by constructing hostels to keep them safe. Girls come from very poor families, sleeping on a simple mat at home. 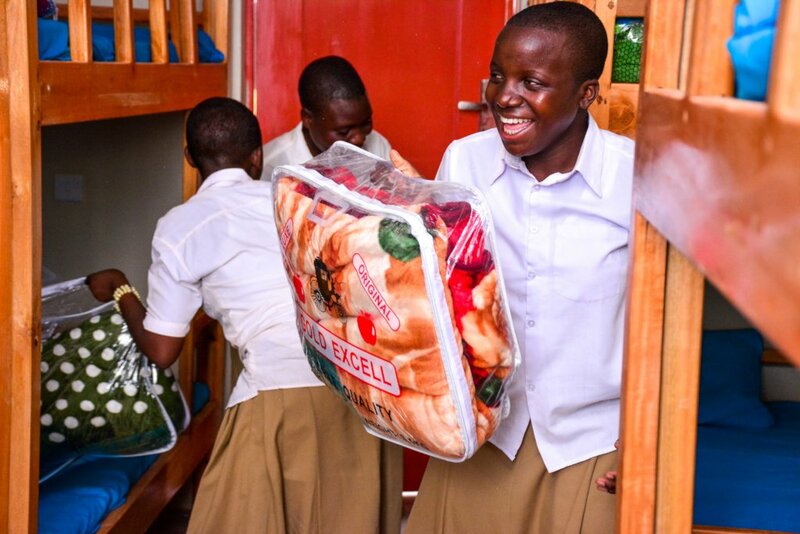 Help us furnish the latest hostel with the gift of bedding or donate a tablet (shared by a group of girls) to open up a new world. Make your donation as a Christmas gift to family and friends. We will provide a beautiful card to send to them for Christmas. Rural secondary schools serve a large area, with some villages as far as 30km from the nearest school. Girls walk very long distances, or stay in rented rooms near the school. Without money for rent and food, girls are vulnerable to abuse and some become pregnant and are forced to drop out of school. Parents want girls to stay in school hostels where they are safe, but the community can only afford to build hostels with outside help. Lyra has just completed its 9th girls' hostel, and is renovating a further dilapidated hostel. 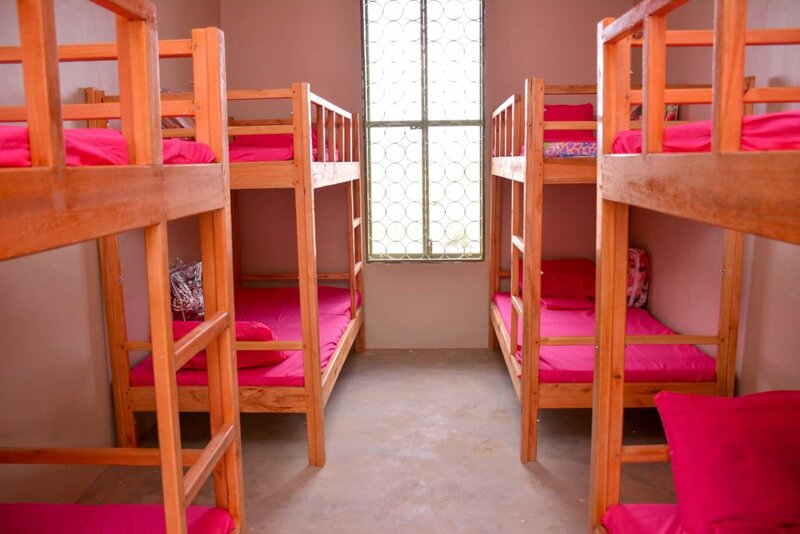 With your help, we can provide beds and bedding for the girls, which their parents cannot afford to provide. We also provide tablets to capitalise on the girls' hunger for learning and their valuable opportunity to study in evenings and weekends while in the hostel. Both the tablets and beds will be used by girls for several years to come. Secondary education has a profound impact on the lives of girls and their families. Educated girls have higher incomes and smaller, better educated families. 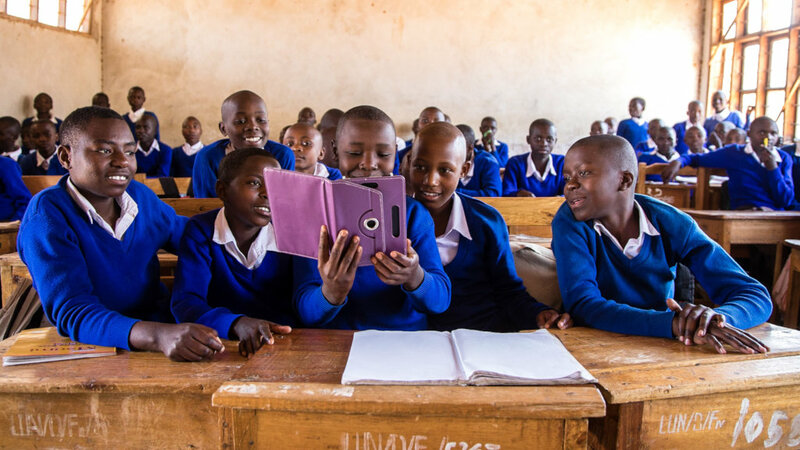 We hope that girls with acccess to technology for learning will have better academic results and more exposure to new ideas, to help them become more entrepreneurial when they finish school.